You know what the main problem with Ghostbusters merchandise is? No, it's not the quality, the design, or anything like that. 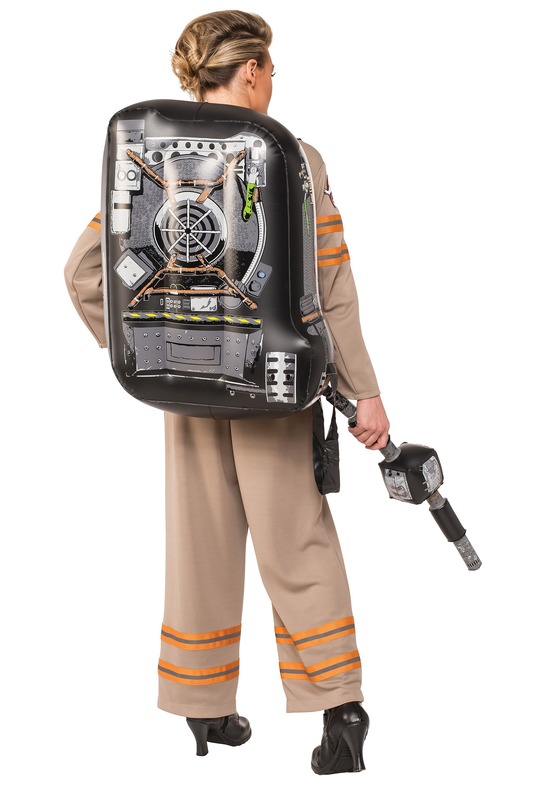 In fact, the look of these new Ghostbusters uniforms are very cool throwbacks while looking new and exciting. No, what we're talking about is possibly the most iconic thing associated with the Ghostbusters franchise besides Staypuft Marshmallow Man, Bill Murray, and Ecto Cooler. What we're talking about is that infectious earworm of a classic theme song! While we shake our fist in Ray Parker Jr's general direction let us tell you why. Because whenever we get a new Ghostbusters product like this deluxe jumpsuit here from the 2016 movie, we can't help but get the song stuck in our head, and man, it ain't going anywhere for at least the rest of the day. These are the common problems for a copywriter. "Bustin' makes me feel good..." DANGIT! 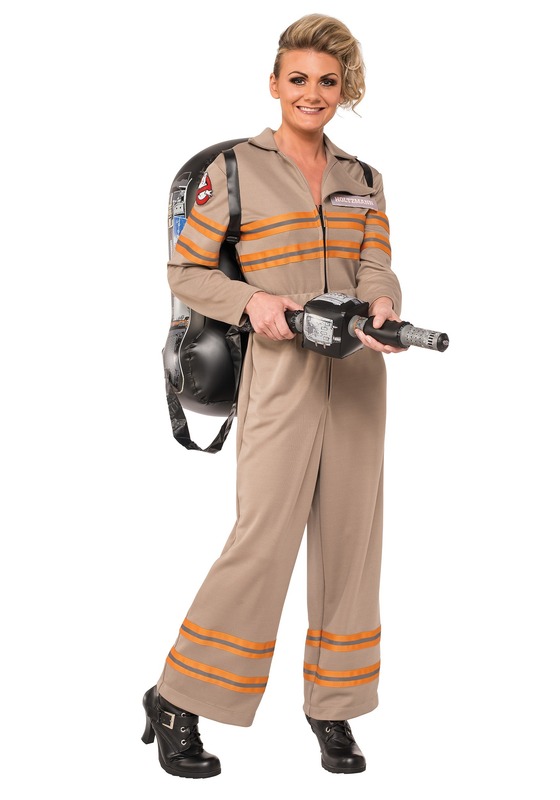 While we hum to ourselves about busting ghosts let us tell you all about this awesome new Ghostbusters costume from the reboot film in 2016 when women finally get to have some of the paranormal fun. It's in a jumpsuit style with the new orange stripes around the middle and the legs. Check out that shoulder too, because it's got the iconic logo we all know and love. Now, take a big breath because last but not least you'll be filling up the inflatable proton pack so you can be ready when "there's something strange in your neighborhood." We're so sorry... but we just can't help it with the lyrics. We ain't afraid of no ghost (busters theme song).